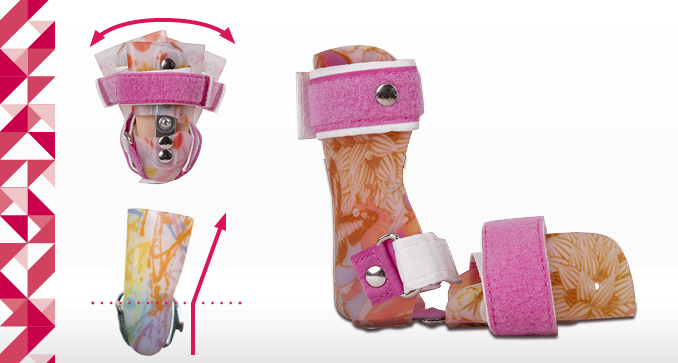 The tutor immobilizes the joint and the heel in an intermediate position. It corrects the position of the forefoot, calcaneus and ankle. 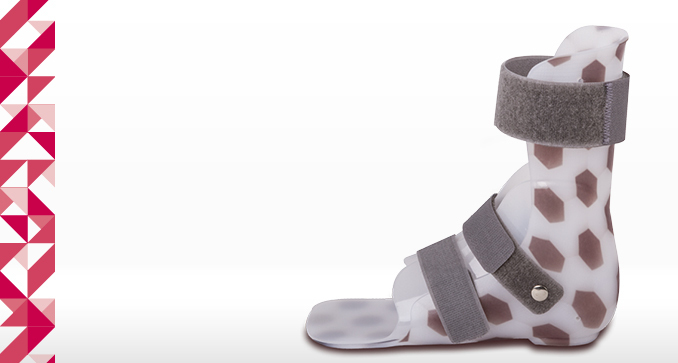 The orthosis immobilizes the joint in an intermediate position, corrects the adductive position of the forefoot and the supination of the calcaneus. The STARTER version is designed for the youngest patients. The STARTER version has a formed abduction and mild pronation of the forefoot. 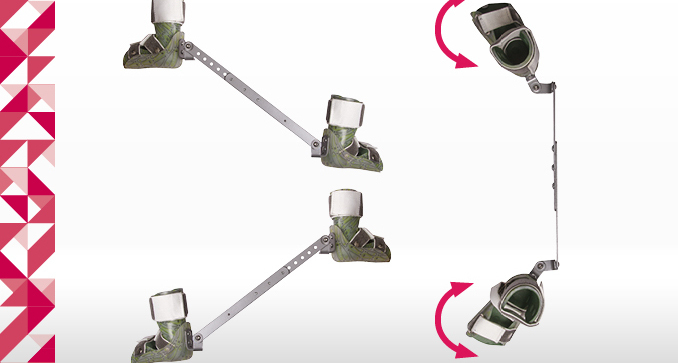 An adjustable articulated joint in the REGULAR version enables gradual correction of the abduction of the forefoot.